Highland Scots have a long and successful history of emigration to North America. Jacobites on the run, impoverished lairds and dispossessed crofters alike sought fame and fortune in the New World in their droves during the Eighteenth and early Nineteenth centuries in a bid to escape persecution or poverty. Some failed, some returned home, but many, like Alasdhair my hero, carved out a very successful life for themselves. At the same time entrepreneurial Glaswegian merchants were taking advantage of the favourable Trade Winds to cross the Atlantic quicker than their English counterparts. Their clippers laden with consumer goods difficult to obtain in the New World, these canny Scots willingly granted the plantation owners credit with which to buy their goods – something their English counterparts were reluctant to do. Returning with a cargo of tobacco (and sadly, in many cases, slaves), the Tobacco Lords, as they came to be known, became rich on the proceeds. 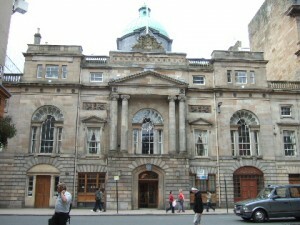 This new aristocracy were almost entirely responsible for the migration of the city of Glasgow towards the river. 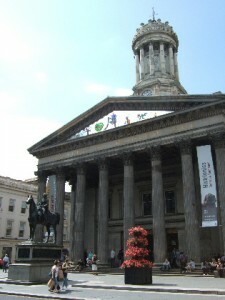 Not content with town houses such as the one William Cunningham built, now Glasgow’s Museum of Modern Art, they built churches and civic buildings, and acquired large country estates too. 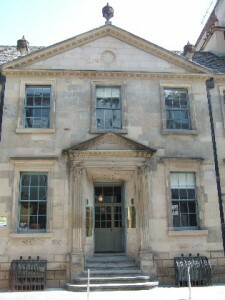 Plantation owners such as Alasdhair entered into extremely lucrative business deals with the Glasgow merchants (such as Ailsa’s brother Rory’s father-in-law), ensuring the best price for his own produce, and a guaranteed distribution channel through Glasgow which, by the 1770s was responsible for something like two thirds of all tobacco imports. Though Errin Mhor, home to Ailsa’s family, doesn’t actually exist, I know exactly where it is. It’s on the west coast of Argyll near Oban. Authenticity matters to me. Though I’ve taken a few liberties with the geography in my Highland Brides stories, most of the places mentioned are real. The Tigh an Truish, a drovers inn on the Isle of Seil, so-called because it was where Highlanders going any further south swapped their plaids for trews, is still there today, as are many of the little ferry and drover’s inns which would have provided my hero and heroine with shelter on their journey. Alasdhair and Ailsa visit Inverary at the time the present-day castle was being built. 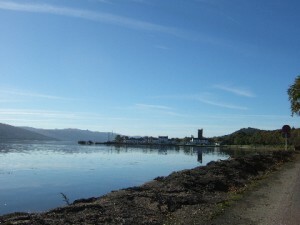 In order to secure the view, the Duke of Argyll really did have the original fishing village ‘moved’ a few hundred yards along the banks of Loch Fyne where the town, with its Palladian frontage, remains to this day.